Hey everybody! I humbly offer up my late submission to this wonderful jam. 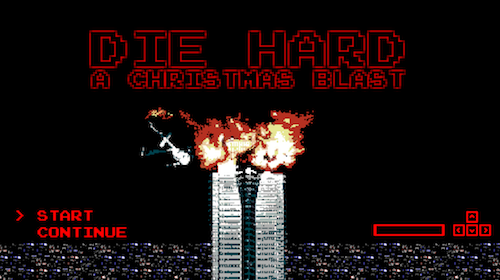 A CHRISTMAS BLAST is Die Hard meets WarioWare. Frantically play through all your favorite Die Hard moments: show John McClane the watch, welcome Al Powell to the party, help Hans Gruber shoot the glass! Looking forward to playing through all the submissions! Minigames are always awesome! 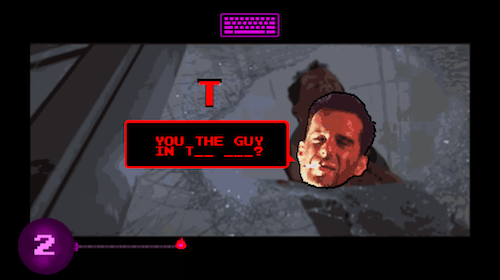 And Die Hard is a heck of a good theme to make them around, so many good lines to use! I can't wait to check this out. 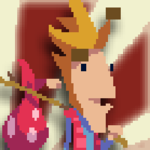 I was brainstorming a WarioWare type thing for this jam, but scared myself out of it. It sounds great! 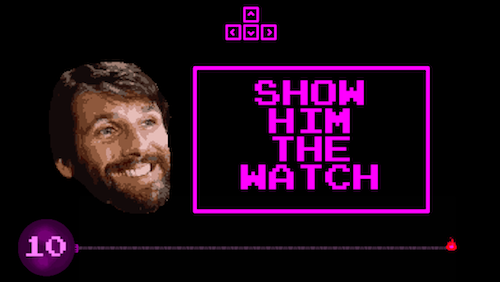 I've made some dumb games in the past - but I'm confident that this may be one of the dumbest. I haven't had a chance to test it on PC, so please let me know if you encounter issues! Oh man, this jam has been fun! ...and fixed the first (of many?) gamebreaking bug! This is very good! I got 9 wins, 33 points. 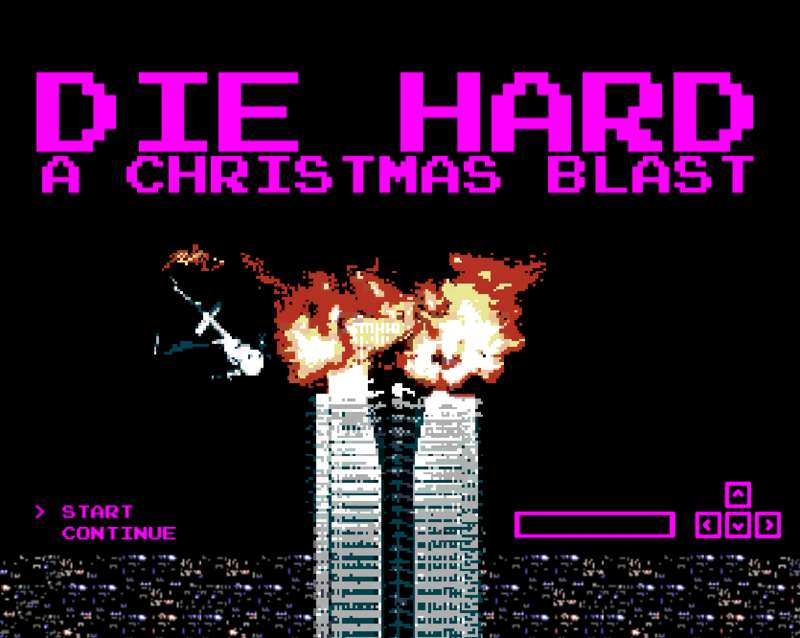 The increasing difficulties named for die hard movies were great. I got to Die Harder level, but shooting that glass is a hard task. I found some weird bugs happening with the typing sometimes. It seems the upper difficulty typing game was 1 letter behind what I had typed already. For example when trying to type the words "To The" I had already typed "To" and tried typing "The" but it still was expecting me to type a 'T'. The glass shooting part was probably the most difficult one, as I found the continuous movement of the crosshair via arrow keys a bit squirrely. Otherwise this is a top tier jam game if I ever saw one. The NES aesthetic and sound bytes were great, and the mini games were really fun. When I lost, I immediately started a new game so I could beat my score. Well done! This is freakin' sublime! I don't wanna say anything lest I spoil anything, EVERYONE JUST GO PLAY IT NOW! My highest score was 27. Thanks for all the great feedback! You all are the best! "Shoot the glass" is now much easier. It was wayyyy to hard. I was able to do a lot better with the glass shooting and typing. Got a new high score and had just as many laughs as before! This game was easy to get into and the different concepts for each minigame all worked well without being too similar to each other. I liked the sound bites after each segment. 'Shoot the glass' was still the most difficult minigame to me, so good thing it got toned down if it was even harder before . This is hilarious! The game-to-game transitions are so good.